Izotope’s latest flagship all-in-one mix & mastering plug-in suite Ozone 7 (and Ozone 7 advanced) provide an array of great precision tools for your mixes. 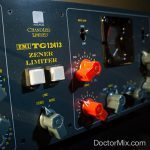 In addition to the highly reputable modules such as the Izotope EQ, Dynamic Compressor, and the most favourable Stereo Imager function of previous Ozone releases, their industry standard go-to modules have now been expanded to include several powerful vintage emulations, such as the new Vintage Tape unit. These flexible new features can really help glue together a mix, warm it up, widen it, and enhance it in many different ways. 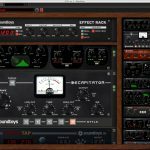 The suite works both as a standalone unit and a DAW plug-in. In this video we show how it can be used for mastering, working through Ozone’s intuitive workflow and show how it can radically transform a mix. This new feature is a single-band feedback-type compressor, emulating classic vintage circuitry that subtly warms and blends a mix together. Clear-cut attack, release and ratio functions are labelled with sliders and a colourful ‘mode’ function for 3 different vintage emulation types. Advanced side-chain filter functions can be chosen with an EQ-curve Detection Filter graph, making it easy to avoid unnecessary triggering from the kick drum or ambiguous harmonic rich program material. Automatic gain compensation is a great addition, so to maintain a more objective compression action. As an emulation of the famous Pultec Equaliser, Ozone 7’s Vintage EQ has a great looking and user friendly interface, allowing you to boost and cut accurately, with its effective frequency curve display. M/S processing is also available for advanced tone sculpting and stereo field manipulation. Vintage EQ has a fantastic tone and we were impressed by how many different type of sounds it really works well for. Impressive. A seriously cool new feature. Modelled on the classic Struder A810 tape machine, the interface has many controls: input drive, bias, speed, harmonics and low and high emphasis, all highly effective parameters for adding authentic analogue-style texture, saturation and colour. Run the tape speed at 15 ips for a tightening the low-end, or 30 ips for a subtle high boost and more overall definition. As a smooth software limiter and modelled on the legendary Fairchild 670, this plug-in allows you compact the sound even more and make it feel solid and “finished”. This is a rich component for any digital sounds and it contains three different settings: Analogue, Tube and Modern. It allows for great control over the gain reduction with its continuous waveform monitor. 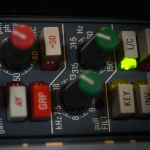 Treating a mix before and after the compression with Ozone 7’s incredibly easy and accurate with its EQ module. There is a whole range of both analogue and digital filter shapes available including Baxandall bass and treble, API-inspired Proportional Q, Vintage, Analogue, Band Shelf, and resonant High and Low Shelfs. The Surgical Mode allows to dial in specific frequencies for cut and boost. Advanced Mid/Side mode can be used to widen and enhance the program material with independent filters and settings. More impressively, Matching EQ allows you to capture the spectral characteristics of your favourite mixes and apply them to your own! This is an advanced multi-band compressor with some clever features. “Learn” mode analyses the audio and sets up a customised frequency crossovers specifically for your mix, and then Adaptive Release can automate the release time on each individual band. As with the EQ, M/S functions are also available and monitoring can be done in real-time with the colourful spectral graph. Ozone 7’s Dynamic EQ builds on the best of the dynamic and equalisation modules. With a similar interactive spectral graph to the EQ module, Dynamic EQ can be used to progressively apply a specific eq curve whenever a certain frequency goes over the set threshold. Cymbals too harsh? Or is that low E on the bass building up too loud? No problem, just select and tame. There is a choice of five different filter shapes, an analogue/digital toggle and an intelligent Auto Scale mode which can auto select attack and release. And with M/S processing available, this module is super powerful. A brilliant way to enhance dull sounds is with Ozone 7’s Exciter. Set up into four frequency bands and the Exciter allows to choose from circuit-modelled Retro, Tape, Warm, Tube, Triode or Dual Triode. Amount and Mix sliders allow for subtle harmonic enhancement. Gain changes can be controlled too, with the Peak Saturation control. Ozone is famous for it’s astounding imaging capabilities and the Imager function in Ozone 7 is no exception. It has 4 frequency bands with crossovers that can be adjusted manually or automatically with the use of the intelligent Learn program. The Stereoize function allows for even more dramatic stereo spreading, and mono-comparability can be checked with the built-in audition key. The Maximizer is the final step in the chain within the Ozone 7 powerhouse. Renowned for its transparency and transient shaping capabilities, this latest Ozone package has a fourth Intelligent Release Control (IRC-IV), which is a great new addition. But most importantly the new True Peak limiting Control allows to keep the inter-sample overshoot in check, to make sure no DA converter ever clips. You can even go one step further. Using Codec Preview you can sample your audio in AAC and MP3 formats and then solo using Solo Codec Artefacts to compare – a great way of previewing how your mixes will sound once mastered and/or in the commercial listening format. The signal flow in Ozone 7 is just excellent and the monitoring options are extremely flexible. Ozone 7 allows you to line up your working mix modules in signal flow order with the ability audition each one is isolation, checking mono-stereo comparability, mix and match module order and digital/analogue algorithms.